Maybe it’s the location near Lincoln Center and lots of shopping, or maybe it’s the unobstructed views of Central Park, or maybe it’s the ease of planting tons of one’s foreign cash without worry within its walls, whatever the case may be, the ultra-luxe Time Warner Center has just drawn in a record $50.92 million sale. 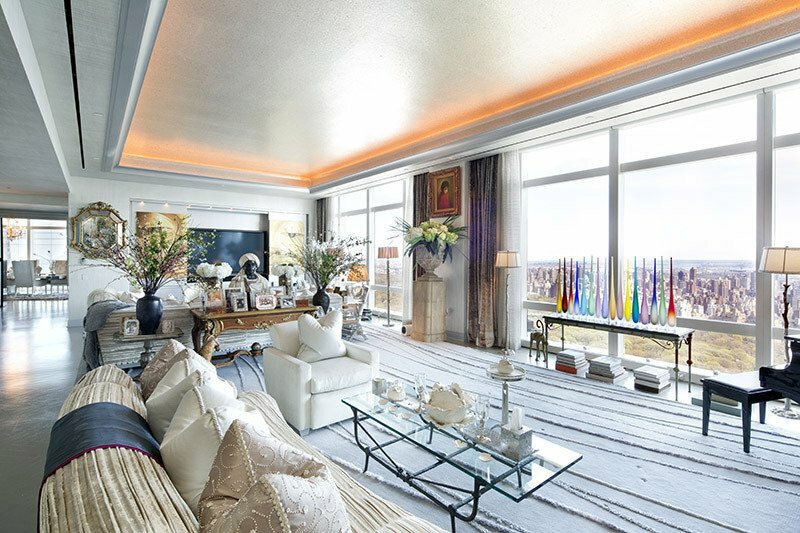 The owner, Russian billionaire Andrey Vavilov, listed the sprawling 14-room penthouse for $75 million early last year, then dropping the price to $68 million in November, finally landing on $51 million with a buyer known only as “Columbus Family LLC,” according to city documents filed today. As CityRealty reveals, the transaction is the highest ever recorded at the building; the runner-up, incidentally, the same unit, which traded hands last in 2009 between Vavilov and Austrian investor Gerhard Andlinger for $37.5 million. 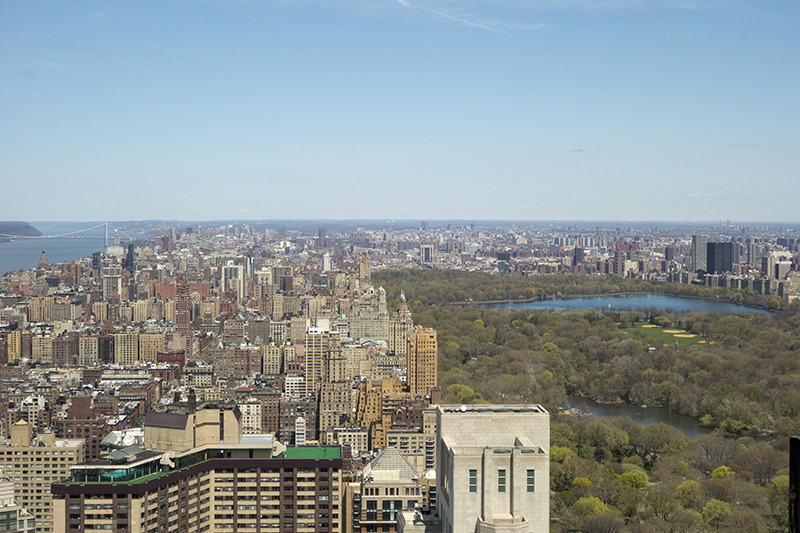 This penthouse spares no opportunity to show off and comes with 400 feet of views in four directions (120 of which are of Central Park) and 8,274 newly-renovated square feet of living space. 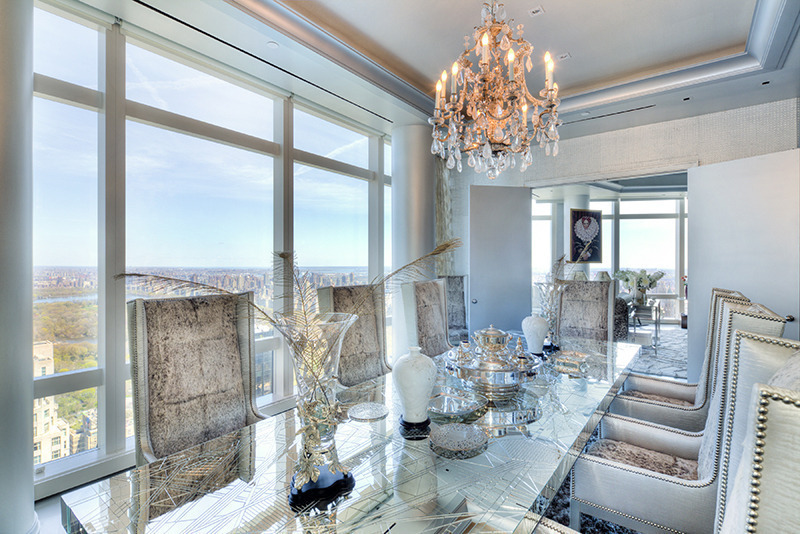 Floor-to-ceilings windows amplify the sweeping views, as do the home’s ceilings which extend over 11 feet. Inside you’ll also find six bedrooms, eight bathrooms, a 26 x 24-foot dressing room, a 13 x 7-foot coat room, a dining room, an informal dining room, a library, a media room, and a laundry room. This is on top of the pool, rooftop garden and twenty-four hour doorman and concierge services offered to all residents. It’s good to be rich. 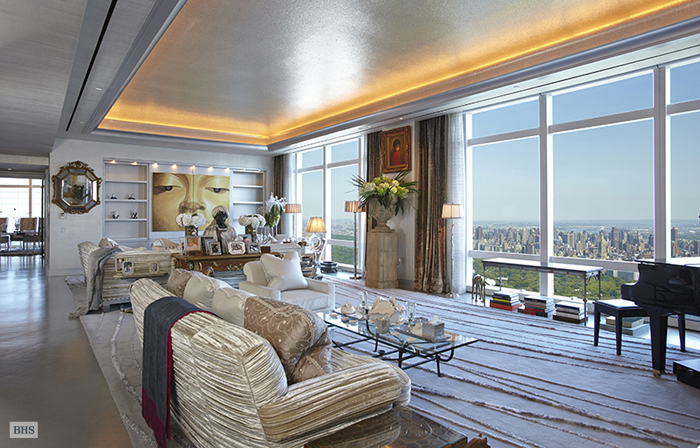 How Much More Do Penthouse Buyers Pay Compared to Their Neighbors Directly Below?